I bought a (very small) amount of WAVES today and decided to share with you. I'm a bit late to this coin but I still see some good signs for future profits. Binance started a competition 5 hours ago for WAVES traders. I don't have the funds to have a chance of wining something, but competitions like that on Binance can boost the price. As you can see, I mentioned there is a lot of risk making this trade. Do your own research before spending any money. 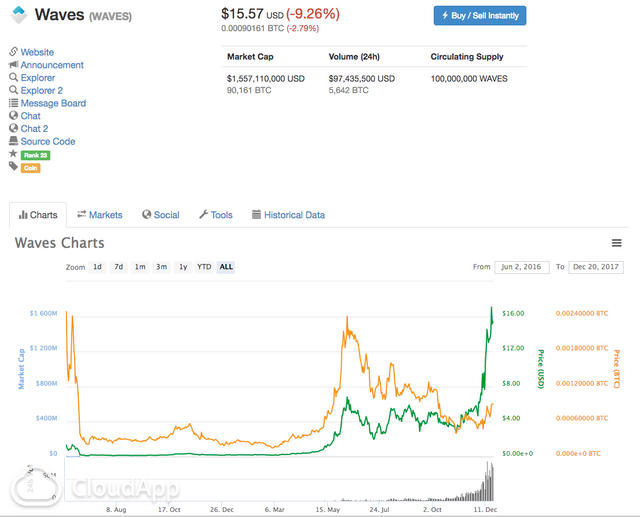 Waves is one of the most solid projects out there!